﻿ HuntingNut » Forums » Hunting » Varmint Hunting » Been Busy At The Ranch! Been Busy At The Ranch! Posted: Sat Dec 21, 2013 6:23 pm Post subject: Been Busy At The Ranch! From breaking ice to having calves. The cold weather has brought on some extra work. 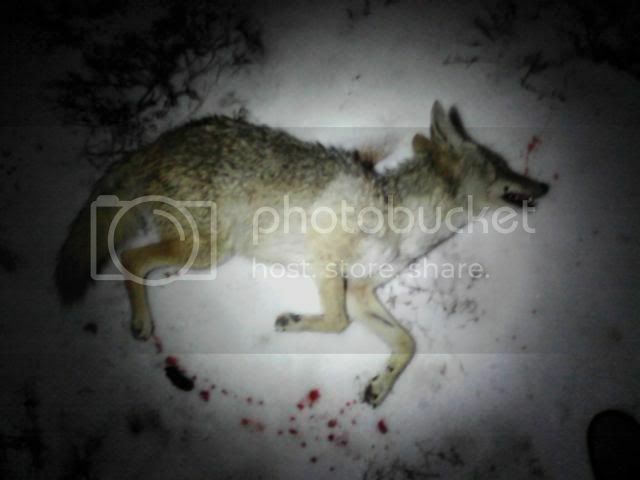 But the cold also brought out some hungry coyotes. I was able to call in a few. Called in a double on one stand with the FoxPro and the AP-6. Took them with the 17 HMR. One was about 60 yards out and the other one was just in front on the pickup. Here are just a few we have taken in the last few days. Posted: Sat Dec 21, 2013 9:05 pm Post subject: Re: Been Busy At The Ranch! Well done Clint. 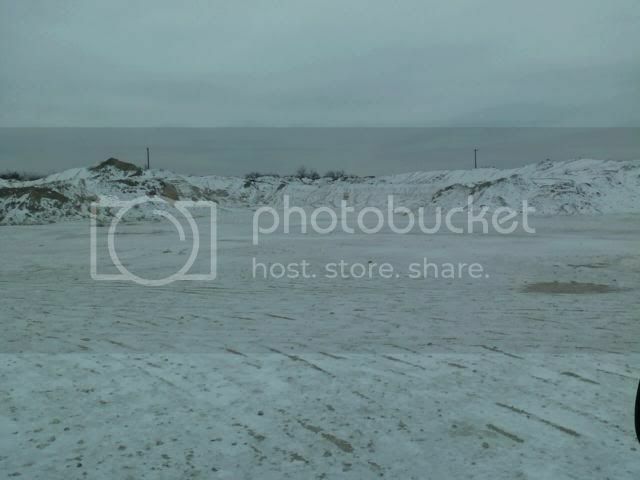 I love the look of your snowy country...and that fire...awesome. What is your POA with the 17HMR mate? 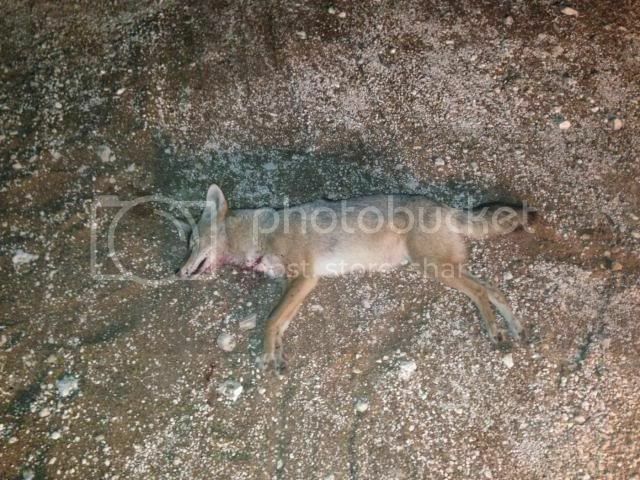 We shot a wild dingo/dog cross (about the size of a small German Shepherd), a hit square in the chest. Dropped it like a rock, then the thing jumped up and ran about 200 metres until we lost it in the thick scrub. There is no doubt it would not survive, but it pained me to think that it died "uncomfortably". 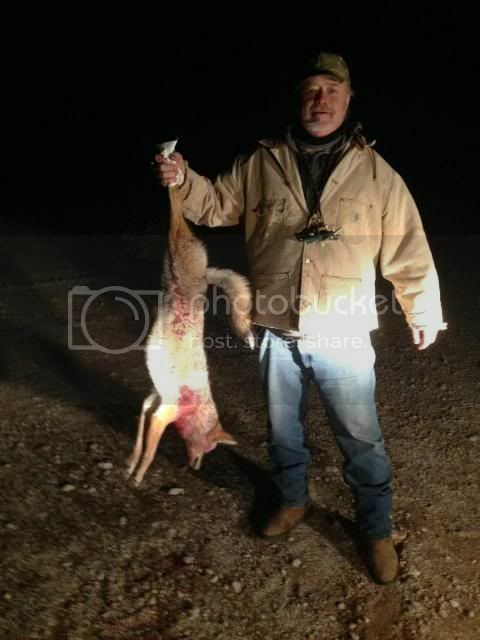 Posted: Sat Dec 21, 2013 10:05 pm Post subject: Re: Been Busy At The Ranch! Clint, stay warm! Good job keep those predators on the ropes. Posted: Sun Dec 22, 2013 3:06 am Post subject: Re: Been Busy At The Ranch! 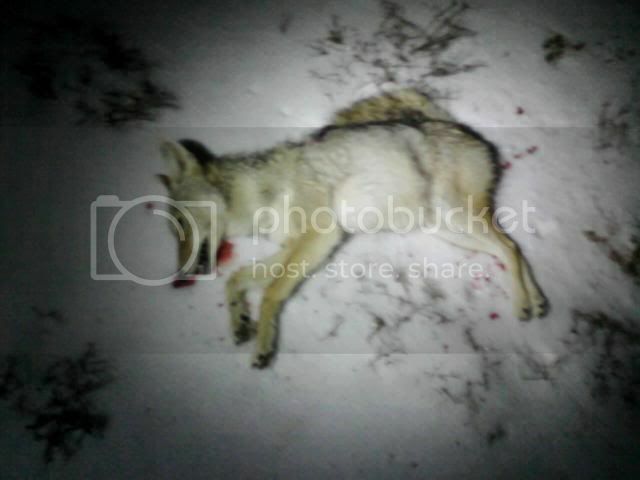 Vince I set it a half inch low at 25 yards and that puts dead on at 100 yards and two inches low at 150 yards. I try to keep shots under a 100 yards for the same reason that you have stated. I know they changed the powder they were using at first. Don't think the new ones work as good as the first ones did. We don't get much snow here so when we do we go a little crazy. I was trying to keep the water hole running with that fire. It was good for my pup and me as well lol. Posted: Sun Dec 22, 2013 6:54 am Post subject: Re: Been Busy At The Ranch! Sounds good mate...are you using the 17gr or the 20gr loadings? My shooting mate found that the 17gr loads give him thumbnail size groups from his CZ at 100m, but the 20 grainers blow out to at least double that. Yours is working real sweet mate...don't change anything. Posted: Mon Dec 23, 2013 4:01 pm Post subject: Re: Been Busy At The Ranch! I like the 17 gr better than the 20 gr. Seems to stop them better. 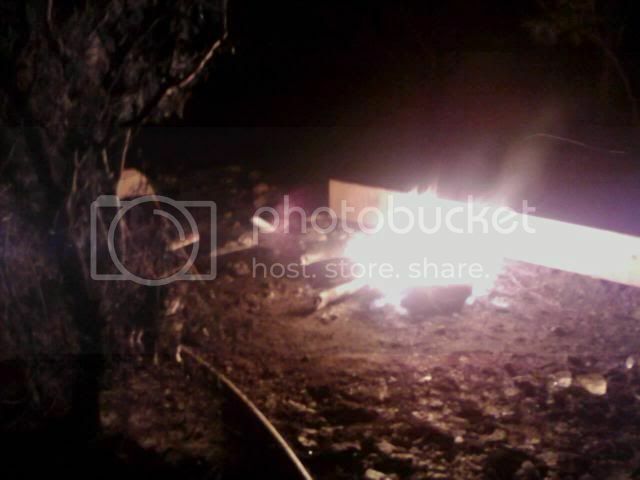 Posted: Mon Dec 23, 2013 11:53 pm Post subject: Re: Been Busy At The Ranch! 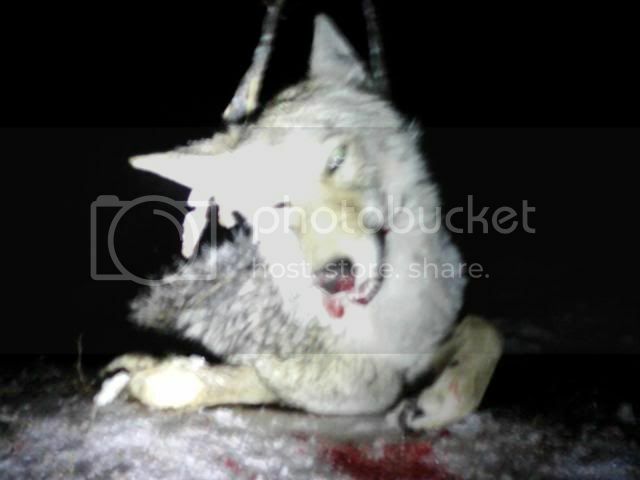 I wish it was warmer here in Minnesota right now, I got something special for them coyotes. But I just can't make myself sit out in -12 with a 25 to 35 mph wind. -27 tonight but it is supposed to be 12 tomorrow and 18 on Christmas day. 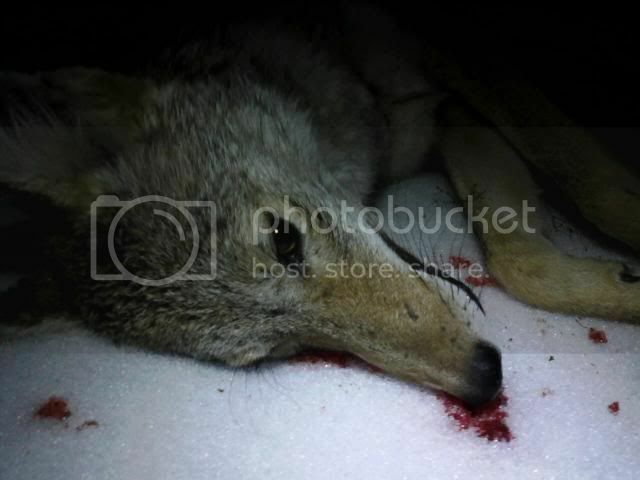 Good shootin on those yotes Clint. Posted: Tue Dec 24, 2013 3:02 am Post subject: Re: Been Busy At The Ranch! We had some temps down in the teens. Then we had days in the 80's and then rain and then 50 mph + winds all in the same week lol. Posted: Tue Dec 24, 2013 8:55 am Post subject: Re: Been Busy At The Ranch! I got up this morning hoping the weather had changed, well needless to say I am not hunting this morning. It's still -27, I hope Santa brings me about 50 degrees tonight. I have a spot I want to go do set because I am pretty sure I can get a yote or two. Posted: Tue Dec 24, 2013 9:20 am Post subject: Re: Been Busy At The Ranch! -27! Will your bullet even stabilize at that density of air? 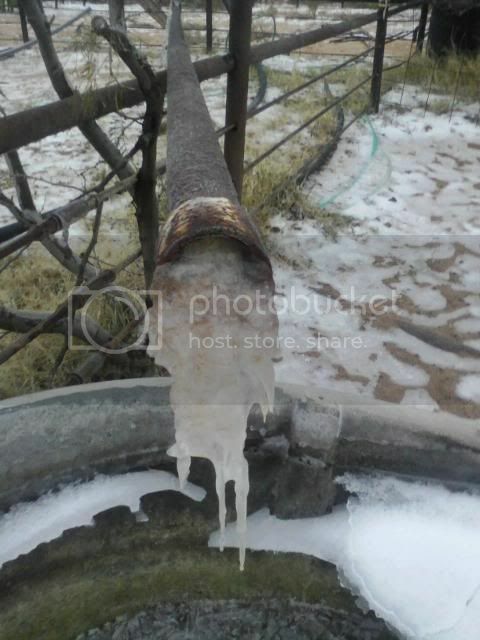 Mine won't stabilize below 10 F.
Posted: Tue Dec 24, 2013 9:32 am Post subject: Re: Been Busy At The Ranch! Posted: Tue Dec 24, 2013 11:14 am Post subject: Re: Been Busy At The Ranch! Sure, my 6.5 Grendel was shooting dime groups the other day at -5. It's just a matter of I can't see myself sitting out there in that cold. Posted: Tue Dec 24, 2013 10:42 pm Post subject: Re: Been Busy At The Ranch! I'm with you Suz! I was out hunting once and realized that I was shivering too hard to hit anything so I called it a day. I have since accumulated better clothing, etc. and can stay pretty comfortable around here. Now when you start talking negative numbers I'll just stay home!